There’s a fungi used in traditional Chinese medicine that is very popular before as well as today’s generation. Also known as the caterpillar fungus, the Cordyceps Sinensis Mushroom is a staple in traditional Chinese medicine because of its long history with it. It’s popular among the Chinese as dong chong xia cao. 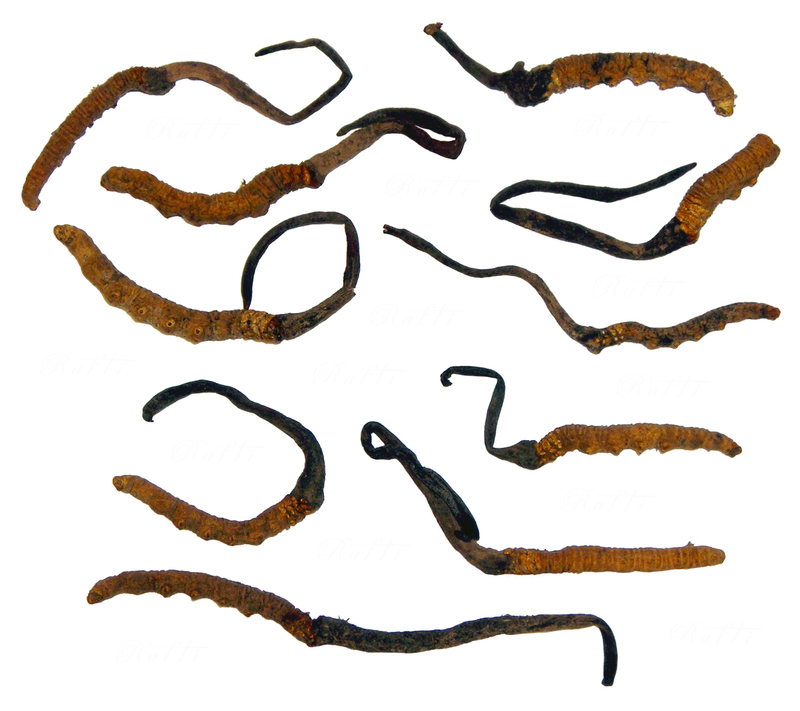 It is the best known documented species of the sac fungus genus Ophiocordyceps, and although its scientific names are hard to get by, the name caterpillar fungus will let traditional Chinese medicine practitioners know what you’re talking about. It was for a time, controversially popular in the Western World. During the National Games in Beijing China, three female Chinese athletes broke 5 world records. The coach told the reporters that the runners were taking Ophiocordyceps at his request. Because of this, the Caterpillar fungus caught the attention of the Western world and was subjected to numerous tests because of its possible use as a health supplement. This fungus is very popular in Asia. Earlier records of it dated back in the 14th century. It’s well known use in Chinese and traditional folk medicines were an aphrodisiac and a treatment for a variety of ailments. It was also popularly used with patients with respiratory symptoms and reported an improved condition when given. Highly prized by practitioners of Tibetan medicine, it was also regarded as having an excellent balance of yin and yang because of it’s apparently both vegetable and animal in nature. Scientists have found out that Ophiocordyceps produce many pharmacologically active substances, and are not cultivated on an industrial scale for its medicinal value and importance. Another use for this could be noted on the fact that researchers have recommended Caterpillar fungus beneficial for people with insulin resistance because of its hypoglycemic effect. Through experiments, experts have found major uses of this mushroom. Scientists have also found out that it has been used to protect the bone marrow and digestive systems of mice from whole body irradiation. Another experiment also yielded results that theorize that Ophiocordyceps sinensis may protect the liver from internal damage from toxins. It was also noted to have an anti-depressant effect among mice. 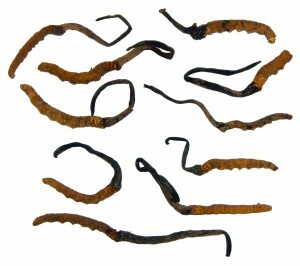 Recently, Cordyceps mushrooms have been prove to reduce the side effects of radiation and chemotherapy. And among one of the breakthrough researches was the prevention of some types of cancer cell growth. A recently published study has shown the effects of Cordyceps sinensis on patients with kidney and lung diseases as well as chemotherapy patients and the results were astounding. It was shown in this study that an extract of the cordyceps mushroom interferes with the growth of some types of tumor cells. Further studies however were recommended for use in cancer treatment. What is Cordycepin in Ophiocordyceps sinensis? The ingredient that was said to be active in Cordyceps Sinensis was cordycepin, which acts on the cellular level to slow the growth of cancer cells. The effect is said to occur in two ways, depending on the extract dose given. On lower doses, the enzyme cordycepin interferes with mRNA, which is responsible for the construction of proteins in cancer cells. On higher doses however, the mushroom extract directly affects the production of protein by the cells. Although the two effects are quite different, it was prove n that the enzyme cordycepin interferes with protein production in the cells. Another study demonstrated possible information on the use of Cordyceps sinensis as an anti-tumor agent. It was tested that the mushroom extract ameliorated chemotherapy and radiation side effects in lung cancer patients, enabling them to complete treatment. Other studies showed positive results when using the Caterpillar fungus in treating low white blood cell counts. Preliminary evidences also suggest that the mushroom extract reduced renal toxicity in kidney transplant and chronic renal failure patients. The reported health benefits of Cordyceps are outstanding. Researchers in Shanghai University proposed the use of the caterpillar fungus on liver fibrosis and found that the cordyceps sinensis promoted collagen degradation, which helps in promoting liver health. It was also speculated that it may have benefits in diabetes. Researchers from University of Macau administered higher doses of isolated substances from the caterpillar fungus to diabetic rats. The results showed that there was a significant drop in blood glucose level in the rats. Researchers from Chia Nan University of Pharmacy and Science, Taiwan demonstrated the protective effects of cultured Cordyceps sinensis against oxidative damage of biomolecules in a vitro study and found out that both have free radical scavenging abilities. It was also tested for memory deficits and showed increase protection in neuronal cell death and memory loss. Researchers in Taiwan tested the stimulating effects of Cordycep extracts on the secretion of testosterone in mice, which offered an opportunity for further studies on health benefits regarding reproductive problems. Cordyceps extract also showed cholesterol lowering effects in subsequent animal studies, as well as significant liver protection in animal studies as well. In conclusion, because of the potential capabilities of Cordyceps Sinensis as a staple in the field of medicine, only time can tell whether Cordyceps Sinensis will remain as a traditional Chinese Medicine or a modern cure for current dangerous disease.